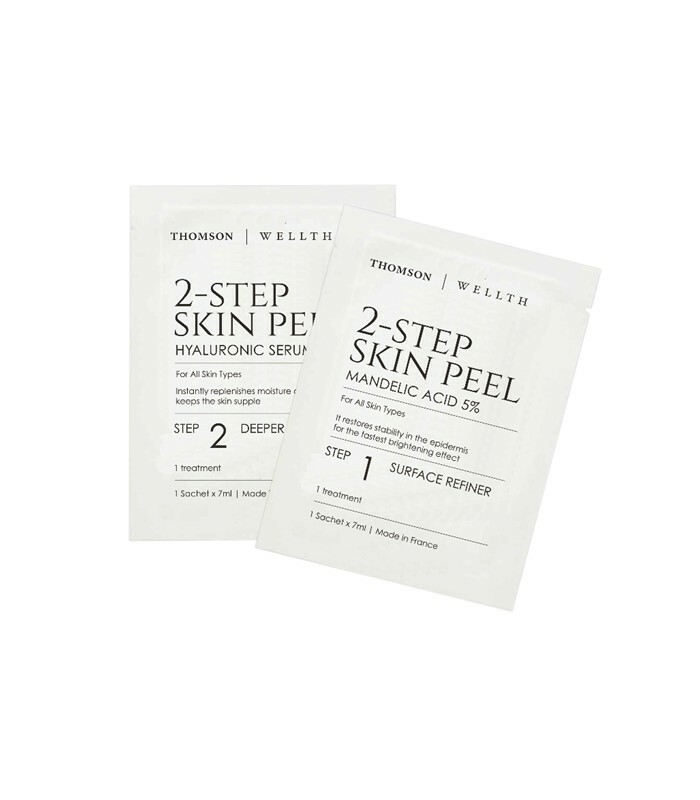 2-Step Skin Peel from Thomson Wellth is suitable for all skin types, especially those with acne problems or pigmentation. This home treatment helps to refine the feel of rough skin texture. 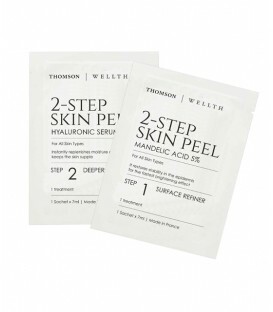 Ideal for lightening of skin pigmentation & scars, reducing pore size, improving acne and overall complexion. To restore moisture to your skin, use our Deeper Treatment- a Hyaluron serum that contains a variety of active hydrating ingredients. Apply Step 1 on cleansed face. Pat until fully absorbed. Apply Step 2, pat until fully absorbed. Wash off excess on hands, followed by moisturiser of your choice. Suitable for all skin types, especially for skin pigmentation and acne condition. Gentle for everyday use, ideally at night for a clearer and glowing skin the next morning. Made in France. Thomson Wellth is a health and wellness concept by Thomson Medical Group that delivers upstream healthcare services and products to all patrons, at all stages of their lives. Staying true to the group’s commitment to achieve excellence in all that we do, Thomson Wellth strives to be the leading advocate of overall well-being. 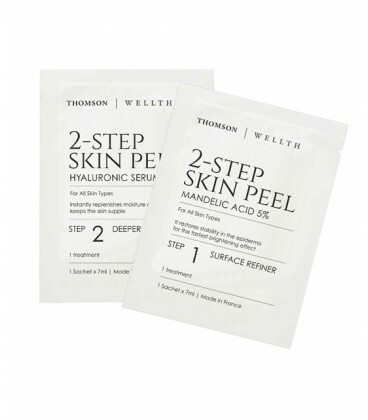 Thomson Wellth has conceptualised a holistic range of skin care products including the Apple Stem Cell Serum, Dark Spot Corrector, Stem Cell Activator Mask, UV Shield and a 2-step Skin Peel. All products are specially formulated with ingredients containing anti-oxidation and anti-aging properties that repair, rehydrate and rejuvenate.